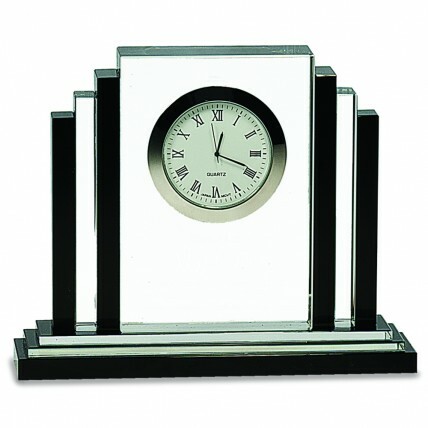 For the ultimate in recognition, choose our Empire Crystal Clock for your awards recipient! Made of black and clear lead-free optical crystal, this custom engraved desk clock measures 6 inches tall, 7 1/4 inches wide at the base, and 1 1/8" thick. The white clock face measures 2" in diameter, with roman numerals, silver hands, and silver outer ring. 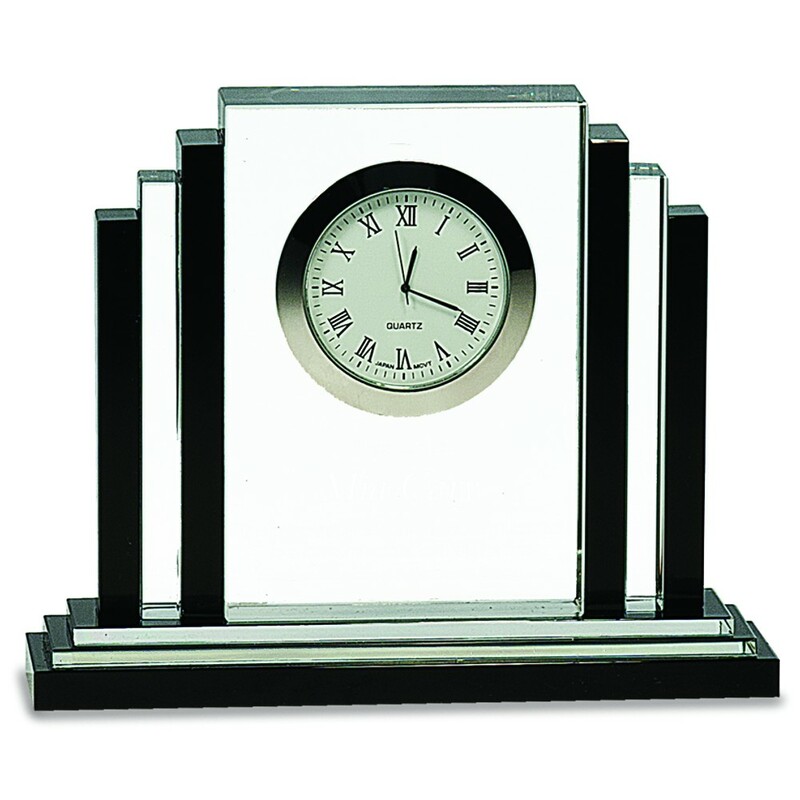 The professional desk clock features steps of alternating black and clear crystal, giving it a clean, modern look. The price includes up to 3 lines of personalized engraving, etched directly into the crystal, along with a box for gift giving.